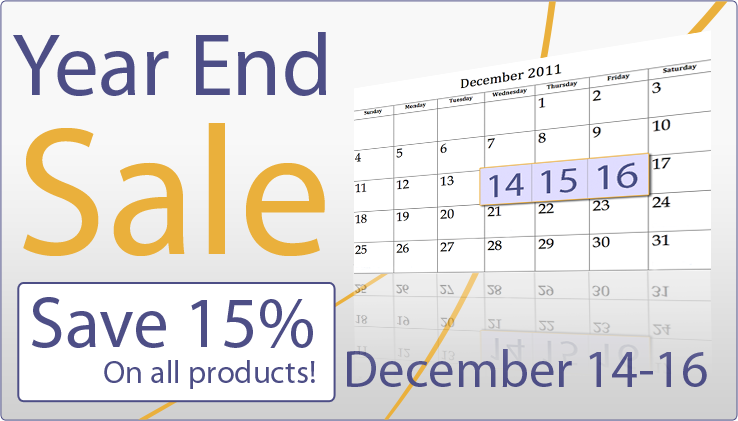 Year End Sale running December 14th through 16th, save 15% on all products. This offer cannot be used in conjunction with any other discounts or coupons. Discount does not apply to custom software development services, hosting services, or to our SafetyNet backup service.